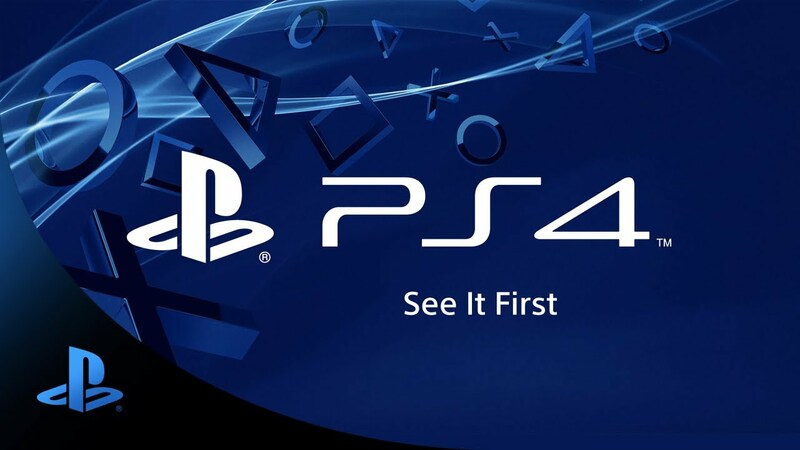 RSVP now to watch PlayStation’s E3 2013 Press Conference live on 6/10 starting at 6:00pm Pacific Time here. E3! Can’t wait to see the future first. You guys just love to tease, don’t you. Three weeks from tonight, E3 is taking forever to get here. My Birthday! Thank you in advance! I want the PS4 to be shiny like the original PS3!!! Wait? Do I need to RSVP to watch it, or do I get to watch it regardless of RSVP status? I’m just asking because I want to know my options of where I could watch the Sony press conference? I’m with snakeeyes211. I’m going to be anxious until I can place my pre-order for the PS4. I’m with you yazter, what the heck is a Facebook? If time is a man I would kill him … am joking I will just yell at him : You are too late . Are you guys doing like last year? Can we attend the conference live? Damnnn i aint even buy the ps4 yet. cant wait to see the ps5. hella Exciting u must sayyy. Let’s not forget about the Vita, Sid. I hope with all the PS4 spectacle, that the struggling – but awesome – handheld isn’t thrown under the bus or just left as a PS4 accessory. System needs some sealed and delivered AAA games. Moneyhat if need be, but there’s no reason why hardware as crappy as the 3DS should be outselling the Vita. Except for the ridiculous memory card prices and the fact that Sony waited a year late (does that ever work, really?) to launch. AWESOME! MS is running scared! Lol you are trolling Microsoft. Anyway, can’t wait for E3 this year. Two next-gen consoles, great Wii U games (I’ll probably end up with all 3 consoles at the end of the year) and probably a lot of new IPs. Getting PS4 Day 1. Like the sharp angles à la PS2, but really miss the color PS logo. I bet Sid is sitting right next to the PS4 right now with an evil laugh looking at how much we are dying to see the box and he has it next to him. Sid shuman!! Shaking my fist. Lol. Live in your world. Play in ours. OH YEA!! Can’t wait to see the embodiment of the PlayStation 4! Please unveil a PlayStation 4 & PlayStation VITA Launch BUNDLE!!! HYPE!!! Jun 10th can’t be here fast enough! June 10th can’t come soon enough! I’ll be @ E3 this yr so i’ll see live & in person, can’t wait, only 3 more weeks!!! Not as excited as I was back in January, but I look forward to seeing the box. Better be like the Wii U and not produce much heat under heavy load. Not sure how they did that, but Sony and Microsoft need to learn from it. And the launch titles are all that really matters honestly, if their aren’t any games with good replay value, then it will be hard to sway buyers. Wii U has Monster Hunter, but really that is the only title for me on the system coming out this year. I need something like that to get me to buy it at launch, say Diablo 3 :3 or something like that. Price doesn’t matter to me really, just need games to back it up and my money is all yours! 100% going to be at E3 again this year; its going to be beauty beast console ever made i think. Love how you are teasing everyone with the video. If i’m right most people by now will try to slow down the video to get better look it at by now. Hope u all like spy-station 4’s cameras & your personal info being continuously relayed to the CIA and various shady marketing companies. OMG! The future is here!!!!!!!!!!!!!!!! Ugh, boring black again, I see. I guess we’ll be able to pre-order once E3 is done?